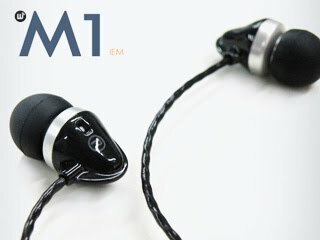 Thought M2 has yet to make it to the market officially, MP4Nation.net already makes plan for another IEM, the M1. Being M2's little brother, M1 is aims for detail and balanced listening audience instead of the M2's more warm and musical signature. The pre-order price is around $30 and I must say it is quite a burgain. I will be reviewing it in the next few weeks. On an unrelated news, Shure SE535 and SE425 got themselves some price tag. MSRP will be US$550 and US$350 respectively. The relatively high price are actually a little surprising as there have been several reports that the new Shure will have a lower price tag than the current models. Note that SE530, thought MSRT @ $500, can actually be found on the street for $300 (and even less for SE420). I though Shure will do the smart thing to lower SE530 to around $350 while SE535 at around $400~$450. Being such a big name, Shure should be able to push a lot more sale with a lower price tag and still makes up for the price cut. Why they choose to maintain such a high price is beyond me.